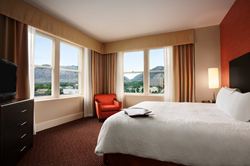 Hampton Inn & Suites by Hilton Ogden welcomes all to Ogden Friends of Acoustic Music’s Ogden Music Festival from Friday, June 3rd, to Sunday, June 5th. Ogden Music Festival is a three day outdoor event featuring bluegrass, folk, and Americana music. Children 16 and under are free. Hampton Inn & Suites by Hilton Ogden is offering a special discounted rate for guests looking to attend this great music festival. Rates start at $84, with complimentary breakfast, parking and Wi-Fi. Please visit http://hamptoninn.hilton.com/en/hp/groups/personalized/O/OGDUTHX-OMF-20160602/index.jhtml?WT.mc_id=POG to book your reservation today. For more information about the Ogden Music Festival, please visit https://www.facebook.com/events/1677306189193927/.